AUTHOR T.N. 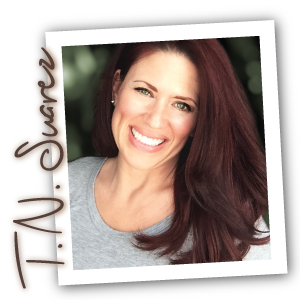 SUAREZ – Chicago-born author Tania Nicole Suarez, best known as T.N. Suarez, began her writing career while working as an art director for an advertising agency. She holds a Bachelor of Arts degree in Graphic Design and is an internationally published photographer. T.N. Suarez authored the young adult novel, THE LIMBO TREE, and is currently working on her next release.